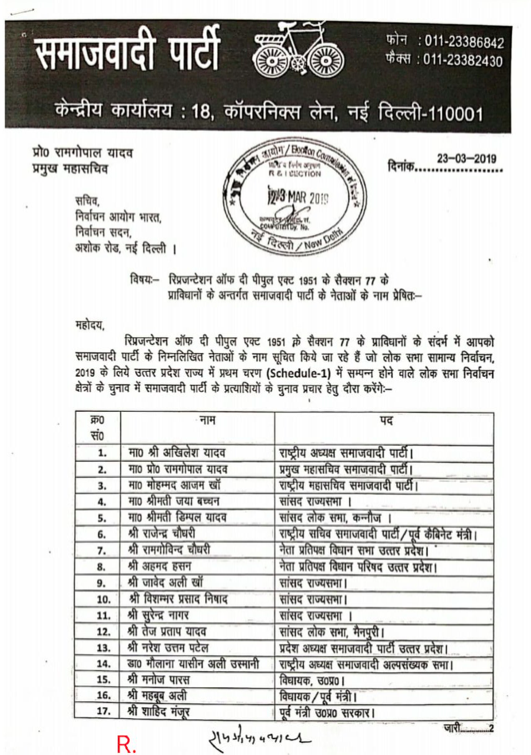 Lucknow: Samajwadi Party released a list of its star campaigners for the 2019 Lok Sabha election on Sunday. 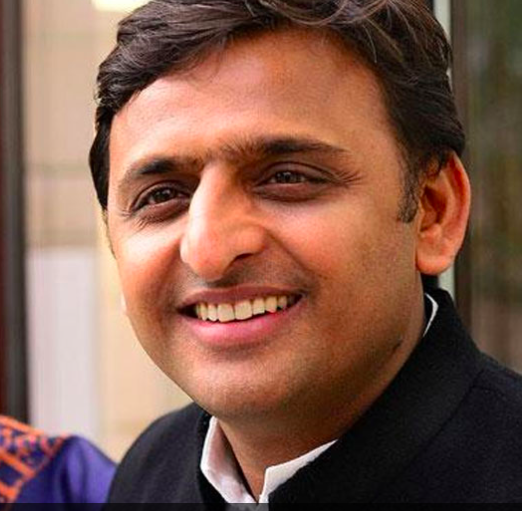 The list included names of party chief Akhilesh Yadav, Ram Gopal Yadav, Azam Khan, Dimple Yadav and Jaya Bachchan. 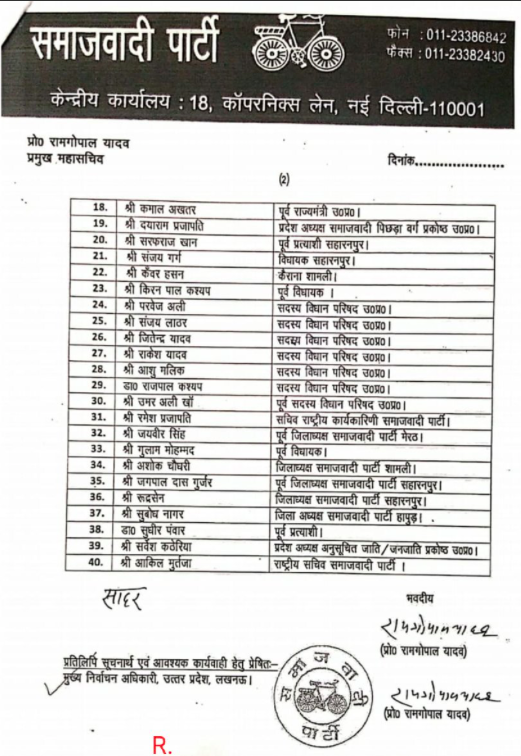 Notably, the name of Mulayam Singh Yadav did not feature in the star campaigners’ list. Akhilesh will contest from Azamgarh seat – the parliamentary constituency of his father and party veteran Mulayam Singh Yadav. The voting in Azamgarh will take place on May 12. Mulayam Singh, on the other hand, will contest from Mainpuri and his daughter-in-law Dimple Yadav will fight the Lok Sabha poll from Kannauj. The polling in Mainpuri will take place on April 23 while in Kannauj the voting is on April 29. The Lok Sabha election will be conducted in seven phases from April 11, said the Election Commission earlier this month. The results will be declared on May 23. The term of the present Lok Sabha ends on June 3.